After flirting with violence and dodging assassination attempts for more than a decade, Daniel J. (Danny) Greene, described by police as the king of Cleveland racketeering, was killed yesterday. Greene died when a bomb hidden in a car parked next to the late-model Continental he was entering was detonated by someone watching nearby, investigators said. He had just completed a visit to a dentist. Greene, 47, was killed in the parking lot of Brainard Place, an office building at 29001 Cedar Rd., Lyndhurst, about 3:10 p.m.
Greene was moving to the forefront of organized crime here, said Lt. Andrew S. Vanyo, head of Cleve land’s criminal intelligence unit. His underworld interests included loan sharking and gambling, Vanyo said, but he also had legitimate businesses such as land speculation. Vanyo speculated the murder might have been the result of a vendetta or clash with other organized crime groups in the city. Greene was suspected by some of being an FBI informant. Vanyo said the FBI denied Greene worked for them. A source close to Greene’s family said he fully expected to be killed by a bomb. “The king is dead, long live the king,” Vanyo said of the ‘ormer Marine who grew up in Collinwood and had a penchant for the color green. Befitting his Irish ancestry, he wore green clothes, drove green cars and hung a green crucifix around his neck. Sara Peck, 31, a teller at the St. Clair Savings Association at 29001 Cedar Rd., heard the explosion and ran outside where she saw pieces of the car flying through the air. “There were lots of odors, like burning rubber, material from the car … ,” she told The Plain Dealer. “I looked at him. It was like a wax dummy,” she said. Vanyo noted Greene died in a Trojan Horse attack, the same technique used in the killing May 17 of John Nardi, one of the top figures in Cleveland’s underworld. Nardi, 61, was also killed when a bomb hidden in a car next to his was remotely detonated. There have been no arrests in the Nardi bombing. Vanyo said Nardi and Greene were friends and that Greene was never a serious suspect in the murder investigation. Green was using a two-tone brown Lincoln Continental belonging to one of his aides, Keith A. Ritson, 29, of Cress Rd., Cleveland. Both the Lincoln and the bomb car, a red Nova, were heavily damaged, as were four other cars parked nearby. The Nova was registered to Harry Rollin, 18107 Euclid Ave., Cleveland, but neighbors told The Plain Dealer Rollin no longer lives there. Police cordoned off the area and at least 20 investigators descended on the scene, cataloging all fragments of evidence. 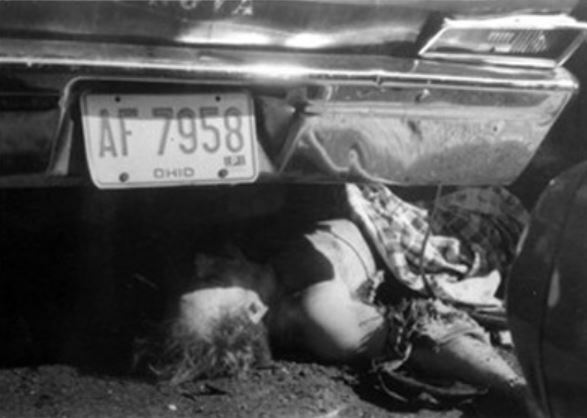 As they combed the area, Greene lay under the Nova for an hour before being taken to the coroner’s office. The bomb was planted near the passenger’s door in the Nova, said David J. Edmisten, special agent in charge of the Cleveland office of the Bureau of Alcohol, Tobacco and Firearms (ATF). The ATF is working with Lyndhurst police and a bomb squad maintained by eastern suburbs. Edmisten and Lt. Joseph S. Wegas of the Lyndhurst police said the type of explosive and hiding place of the person who watched Greene before detonating the bomb are unknown. Greene was alone when he died. Greene was set up for the murder, Vanyo said. He said it is unlikely someone would have followed him around in a car filled with explosives looking for the right moment to strike. “Somebody knew he had a dentist’s appointment,” Vanyo said. “Somebody knew what kind of car he was driving.” Ritson and Greene regularly traded their Lincoln Continentals, he said, as a tactic to confuse their enemies. The dentist, who asked not to be identified, said Greene made an emergency appointment early this week because a filling came loose. When talking to police, Greene had always maintained he was not afraid ‘of dying. He had survived two bombings and two shooting attempts on his life in his bizarre underworld life. An Arizona nurse, formerly of Cleveland, may have some information regarding the violent world that surrounded Greene. The nurse. Rita Sazima. 24, has been ordered by a federal judge to testify before a federal grand jury investigating racketeering-related bombings. Ms. Sazima had asked U.S. District Judge Robert B. Krupansky on Sept 19 to stop the Justice Department’s Strike Force Against Organized Crime from bringing her before the grand jury. The nurse claimed that an ATF agent had threatened to bring charges against her if she did not testify about a bombing and a murder that the agent said she had witnessed. She also claimed that the agent attempted to get her to undress in his hotel room. The bomb squad sought to question him and told him of its suspicions that he had been hoist on his own bomb. Greene was the son of a newspaper printer, reared in Collinwood and soon dropped out of high school and earned a reputation as an alley fighter. He looked like the Notre Dame and Green Bay Packer football hero, Paul Hornung, and moved gracefully. His hands were calloused and hard but meticulously manicured. When he first hit the waterfront as a stevedore in 1957 he had a fetish for the color green. He was scrupulously clean and wore well-shined shoes. He rubbed his fair skin and chest with sun lotion before working the docks in the sun. One stevedore ridiculed him about the lotion, but never repeated the performance. Greene decked with him with one right-hand punch. 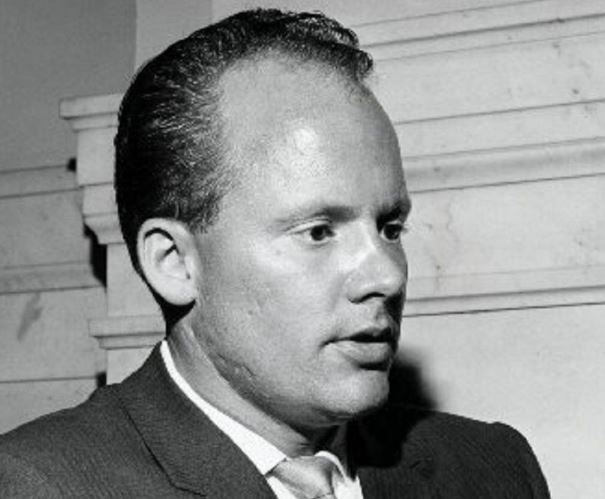 He soon ran for office in Local 1317 of the longshoremen’s union and was elected president in 1961. His cohorts wore green jackets. The union hall got a coat of green paint. Greene wrote his signature in green ink and the union bulletin was printed in green ink. Soon rumors of kickbacks in return for casual labor assignments out of the longshoremen’s hall covered the waterfront. The Plain Dealer investigated and reported its findings in 1962 and 1964. The U.S. attorney’s office investigated and Greene and the union vice president, Leon (Skip) Ponikvar, were indicted. Ponikvar was acquitted. He is an Eastlake policeman today. Greene pleaded guilty in 1970 of violating union laws when the embezzling indictment was dropped and was fined $10,000. But he had lost his union position. He then organized trash haulers and soon reports were rife that he was feuding with Michael W. Frato, a trash hauler who had pulled out of Greene’s guild. Arthur Sneperger, a Greene associate, was killed when a bomb exploded as he carried it toward Frato’s car parked in a Cleveland Heights gas station. Greene expressed surprise and grief but police suspected he himself had detonated the bomb to get rid of Sneperger. Someone had been leaking Greene data to Frato, the speculators said. Greene dropped to the grass, drew a pistol from his sweat pants and fired at the car and hit Frato in the head. Frato was dead by the time his companion had driven the car to Mount Sinai Hospital. Greene stood trial and was acquitted on self-defense grounds. The trash hauling business quieted then and next Greene was reported running the numbers racket in the absence of Birns, who was serving a prison term for bribing a Parma policeman. Birns came out and Greene reportedly went into muscling the numbers racket for himself. By this time he did not always wear green. He was once seen in Bedford in a red nylon jacket. Birns was killed when a bomb exploded in his Lincoln Continental on Easter Saturday 1975. 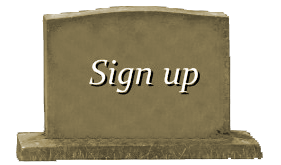 With your free account at foundagrave.com, you can add your loved ones, friends, and idols to our growing database of "Deceased but not Forgotten" records. Click here to submit your listings. 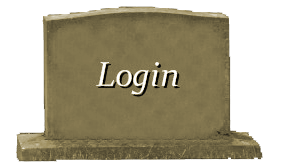 © 2018 Found a Grave, All rights reserved.